Wetherby Station is a magnificent location for a dinner on the lawns or on the homestead verandahs, a casual Australian-style barbeque or a rollicking bush dance. 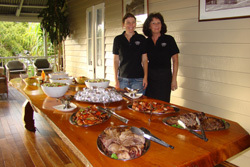 We can cater for guests in groups from 10 to 400. 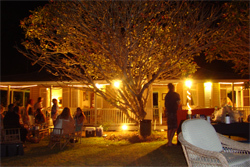 The homestead can be utilized for up to 120 guests for a formal sit down meal. In the case of a large function then marquees are erected and up to 400 guests can be catered for casual or formal dinners. 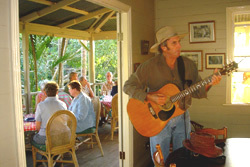 Entertainment can be arranged in the form of a single musician or groups for relaxed listening or bush dancing. 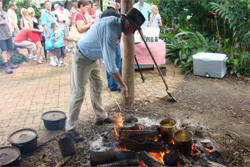 Traditional owners may be available to share their knowledge on culture and bush tucker. Wetherby only opens for pre booked events. All group visits can include a cattle demonstration with the station’s Droughtmaster bullocks and stock horses which takes about an hour. A traditional Australian meal and drinks can follow. Allow about 3-4 hours in total. For lunch plan to arrive about midday, or come for an early dinner arriving around 4pm. Wetherby Station is a great venue for all of these events providing the perfect rural background with warm country hospitality, catering and all the facilities you will need to create an unforgettable experience for your guests or clients. 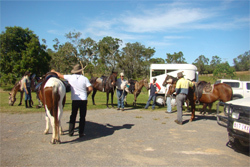 Camping on Rifle Creek, Spear Creek, Little Mitchell River or in bushland is available by prior arrangement. 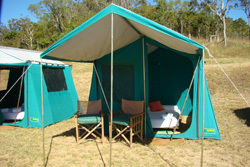 Travelers can use their own tents, caravans or camping trailers. Four wheel drive is recommended. Cabin. A self contained cabin near the homestead is available for rent with a queen and 3 single beds. 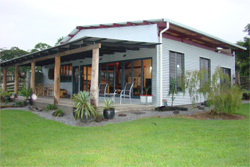 B&B in the nearby village of Mount Molloy which is only 4kms away. For those wishing to visit Wetherby for weddings, events, bird watching, bush walking, mountain biking, cycling, horse riding etc there is good hotel accommodation and cabins. 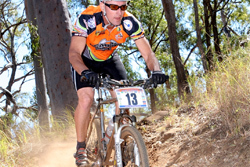 Activities include bird watching, bush walking, mountain biking, cycling, horse riding, Four Wheel driving on the station roads and fire tracks. Wetherby Station’s ideal location between the rainforests of the coastal ranges and the Savannah tree and grasslands of Australia’s inland provide the range of climate and habitats for a vast array of birdlife. The area is a mecca for “twitchers” and “birders” from around the world as well as Australian enthusiasts. Recent audits of the range of birdlife conducted indicate over 200 species ranging from Jabiru, Pelican, Jacana, Riflebird, Bower Bird, Plain Turkey, Curlew, finches, wrens, water fowl, raptors, quail etc. 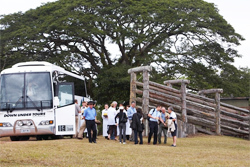 The area boasts several National Parks, including Kuranda National Park, Davies Creek National Park and Mount Lewis National Park which together include many kilometres of walking trails as well as providing sanctuary to a wide variety of wildlife. Wetherby Station is located in the Northern Sector of the Atherton Tablelands. 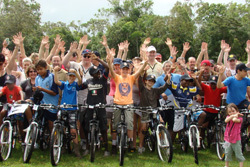 It is just 40 minutes from Port Douglas and 1.5 hours from Cairns. Wetherby Station is located 4 kilometers from the historic copper mining town of Mount Molloy. Having a car is therefore useful for exploring the area and is certainly the easiest way of traveling and exploring the region.